Shori helped a little lamb . . . This was one of the stories about compassion told to youngsters at the West Berkshire Bahá’í Community children’s class recently. 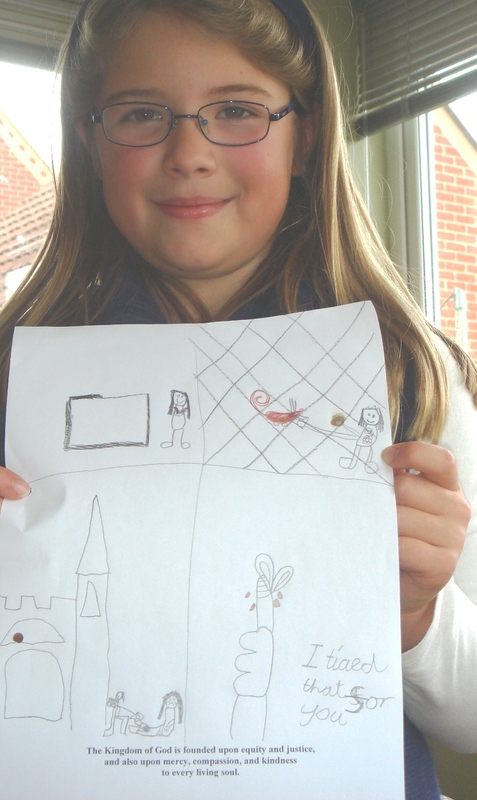 After hearing tales and singing songs about the quality, the children – aged 8 to 11 – did drawings to illustrate what it means to them. Class leader Myra Erbenova said: “When someone we know has a problem or is sad, we should do our best to be understanding and to help him or her. ← Calling budding photographers . . . .